Do you have plans to buy a home soon? Be sure you are armed with the best Realtor in your area. If you aren’t paying cash for your new home and will be getting a mortgage, you will want to follow some quick advice. Don’t damage your debt to income ratio by making a major purchase before closing. If for some reason you can not wait to by a new car, you might have to wait on owning a home. The bank could easily determine that car payment would hinder your ability to pay your mortgage. Wait until after you get the house to do some spending. Don’t change jobs. The lenders like to see consistency versus constant job hopping. From their perspective, your employment and income are paramount to your ability to make your payments. Generally, there are three different characteristics of your employment and income that are considered – the amount, the history and the stability. Many lenders will do a final check to verify that your employment and income hasn’t changed since your final loan approval was issued. Further, some lenders will require 30 days of paycheck stubs for new employment. If you can’t provide these stubs, it could delay your mortgage approval. Worse, it could result in your mortgage application being declined. As a home buyer, never surrender your earnest money to a For Sale by Owner Seller. There isn’t anything stopping the sellers from spending the money before the transaction goes through. If the deal should fall through you’ll have to fight to get the deposit back. It should be put into a trust account. Find an attorney willing to hold the deposit for you until the transaction is finalized. Your contract needs to state what will happen to the deposit in the event that the transaction falls through. Stay practical and realistic during the home buying process. Don’t let your emotions get in the way. Occasionally, sellers are willing to fix some of the problems with the home and others may not be as willing. Don’t let that refusal close the door on your dream home. Conversely, you shouldn’t let your loyalty to the home blind you to costly repairs down the road. You certainly don’t want to be in a money pit. Talk to your insurance company right away. Failing to line up the insurance will lead to delays in closing. Your lender will more than likely require that you purchase at least some homeowners insurance before settling on your mortgage. In most cases, you’ll be asked to provide proof that you’ve prepaid one year’s worth of coverage before the lender will consider closing. If the appraisal comes in too low, don’t panic. There are several solutions to this dilemma. Your emotions may be running high and making a good decision can be difficult. A skilled Realtor will be an invaluable asset at this point and be able to guide you through. It’s their job to keep up with the details, daily, of your deal and if the seller won’t come down in price, as painful as it may be, you may have to prepare yourself for the worst-case scenario – walking away. Ready to sell your home? 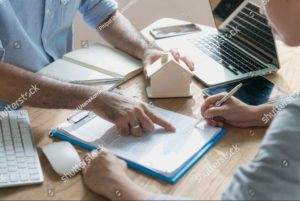 Of course, you want to make as much money as you can from the sale and you might be thinking your best plan to accomplish that is selling your home yourself – FSBO – to avoid paying a real estate agent, which is understandable. But, we offer you a few reasons why hiring a good Realtor is a better idea. Marketing a home is not easy: Listing your home online doesn’t take much effort. Anyone can do that, which is why you must make your stand out and be noticed. A Realtor will have avenues to get the word out to other agents who are working in your price range and neighborhood, an option you won’t have to sell your home on your own. The Realtor’s very own website, Facebook & Instagram account will attract prospects that you simply won’t have the access to. Qualifying a buyer is not easy: There is a big difference between pre-approved for a mortgage and pre-qualified. A skilled Realtor will be able to find out whether the person that wants to see your house is qualified or just curious. Having to prepare your home to show takes a lot of work and you surely don’t want to put your life on hold while you ready your house for show – just for a curious neighbor. Realtors are trained to ask qualifying questions to determine the seriousness, qualification, and motivation of a person calling to see your home. Staying unemotional about your home is not easy: Selling your home and preparing to move is never easy and always an emotional process. A good Realtor will be there to buffer any situations that might occur because you might be letting your emotions take over. Most buyers know that an FSBO home has been priced by the seller and is quite often overpriced because they can’t detach themselves emotionally from their home. Savvy shoppers realize that after a while, sellers who can’t sell their home will finally hire a Realtor and the home will be on the market at the right price. If they have the time to wait? They do. If not? They move on to another home. Being home during the showing is not easy: Or smart. Nothing makes the buyers more uncomfortable than having the seller present when looking at a home. With FSBO you will have to be there touring your home with the potential buyer. More times than not, the showing will be rushed and some of your best selling points will be overlooked. Negotiating is not easy: Especially if it’s your own home that you love and have emotional ties to. Negotiating is a complex matter and all transactions are unique. 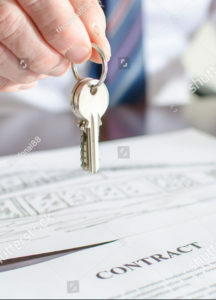 Skilled Realtors know the laws, the contracts, the comparable sales, the closed sales that the banks usually look at when they decide to lend the money for the purchase, and the appraisal. There are plenty of points to negotiate on before the actual sale takes place. Repairs to the house, lawn upkeep, and even additions can be negotiated in the contract that may ultimately affect the price but can be negotiated almost entirely outside of the price discussion. For every negotiating point, there’s a tactic to handle it best.